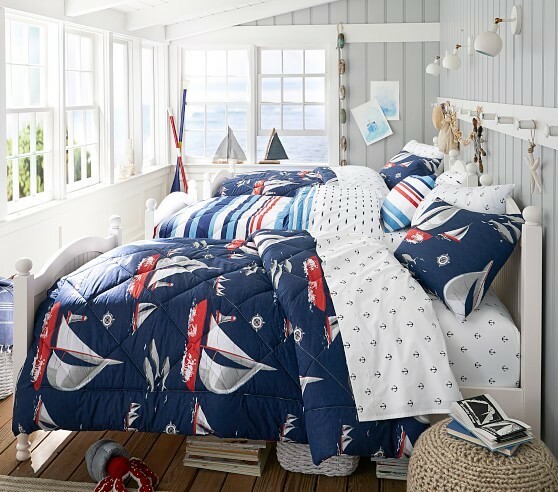 Pottery Barn allows you to bring a new, softer vibe to your spaces as you put together your own slice of paradise at home with the launch of their Island Chic- and Coastal Cabana-inspired collections. This summer, Pottery Barn incorporated tropical prints and natural materials into their Island Chic-inspired collections, including rattan, wicker, and bamboo. They also offer pops of green to liven up your corners—and we don’t mean real plants, but they do the job just as well. Pottery Barn’s faux potted Areca Palm, Sago Palm, and Orchid won’t wither under extreme summer heat, and you don’t even need to water them. 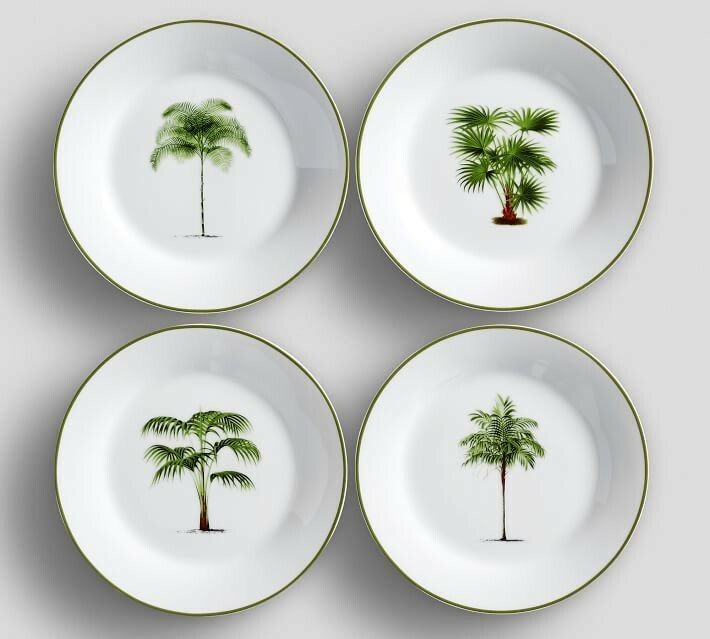 You’ll also find tropical fun accents for your living and dining rooms, like the Palm Printed Melamine Plate, beautifully painted with lush, green leaves; or the Kai Leaf Pillow Cover, which you can throw onto your couch any day. 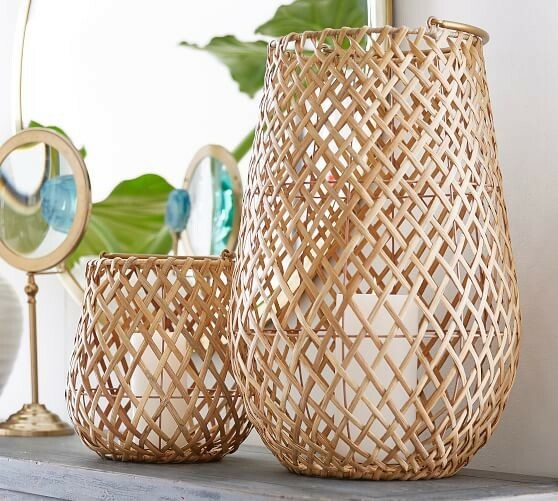 Another beautiful addition to your home is the simple yet elegant Kali Bar Cart and Kelly Woven Palm Lantern, which are not only appropriate for the season, but also look perfect all year round. Also a great investment piece for your home that won’t weigh down the feel of a space is the white June Bed, which can work in your master bedroom or even your guesthouse for an easy, breezy bedroom vibe. 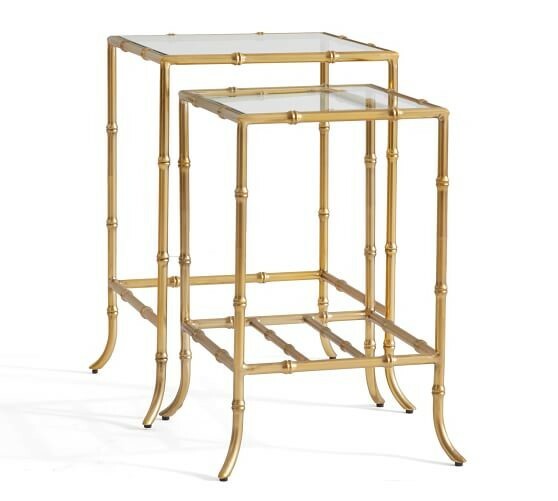 Pottery Barn also allows you to elevate your tropical theme with some hints of gold with the elegant Lea Rectangular Coffee Table and Leo Nesting Side Tables. 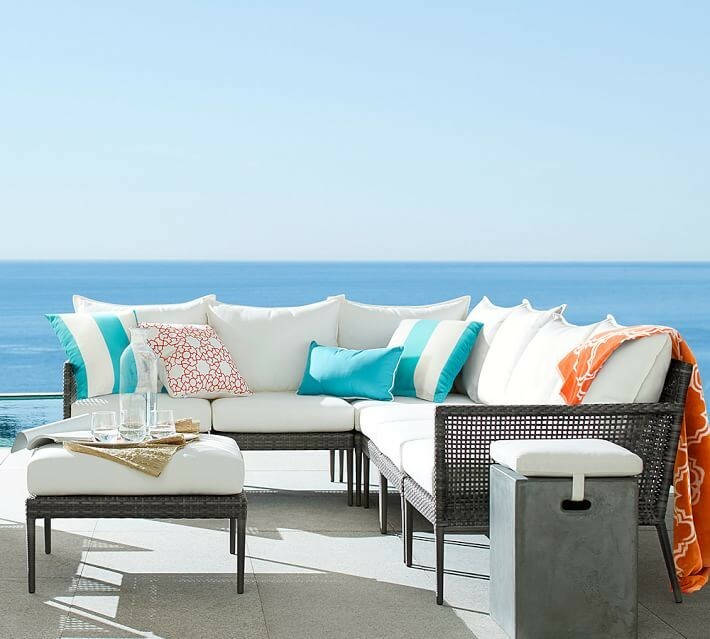 Meanwhile, Pottery Barn’s Coastal Cabana-inspired collections offer a soothing palette that can be played up according to your tastes by layering on different textures, with options like distressed wood and natural fibers with polished-nickel, glass, and Carrara marble, as seen in their Tanner, Alexandra, and Ivy Table Collection for that balanced look of rustic seaside elegance. 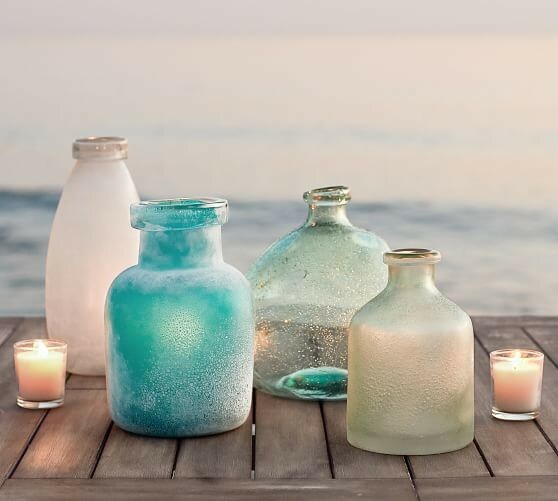 Pottery Barn’s Cammeray, Hampstead, and Indio Living and Dining Collection also offer a diverse selection of home styling inspirations that bring a chic, beach resort feel into your outdoor spaces. 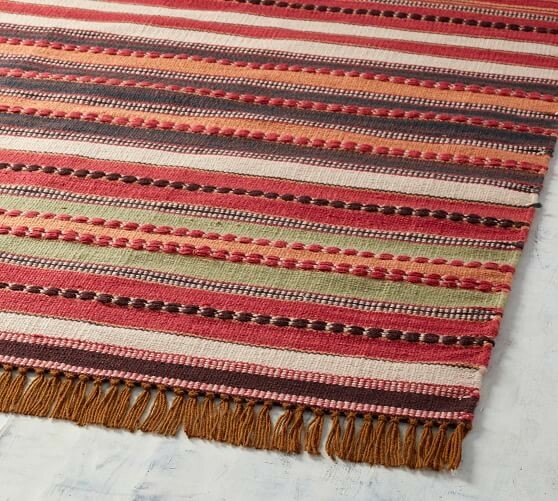 Add on their rugs in hues that echo the colors of the sea, some candles, and steel accents. Their pieces with blue crabs, salmon-hued seahorses, and corals make cute accents for the table while adding a fun touch to an outdoor vignette. Pottery Barn Kids gives your little ones more reason to love both their vacation trips and summertime at home with fun, whimsical designs for their bedroom and personal spaces from their must-have Summer 2018 collection. 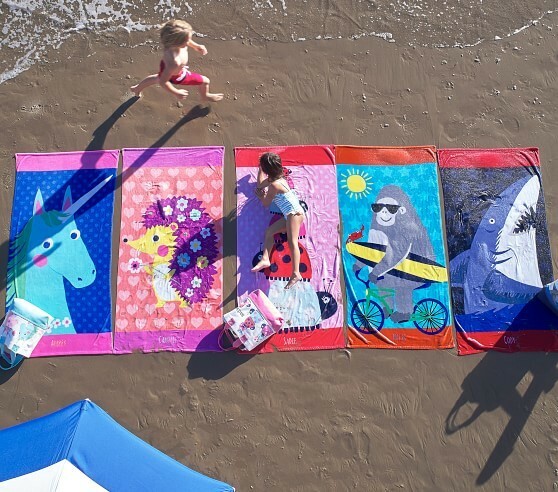 See your kids take delight in the water with Pottery Barn Kids’ soft, brightly colored Classic Beach Towels and Bath Wraps that come in cute animal, sweet mermaid, and unicorn prints. Allow them to have endless hours of fun and entertainment playing outside, hosting kiddie tea parties and picnics with their own fun sets of plates and utensils from the latest collection. 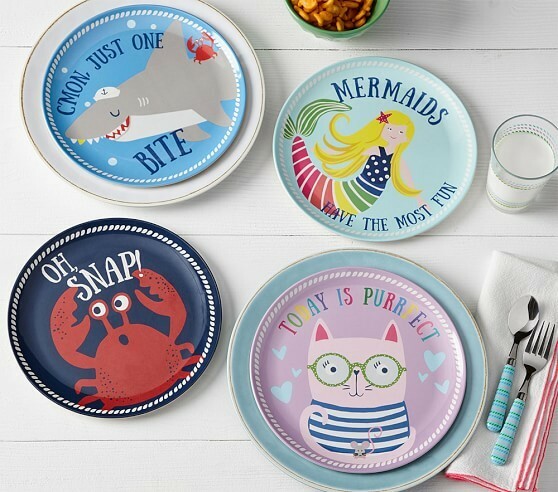 You’ll love Pottery Barn Kids’ Bamboozle eco-friendly plates that are perfect for playdates as they’re made from 70% Biodegradable Bamboo fiber and come in a slew of fun, quirky designs—from dancing crabs to adorable kitties, mermaids, and sharks! 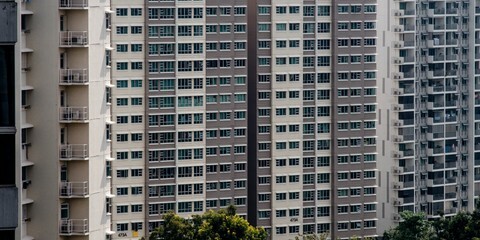 Even if the kids drop or throw them, they won’t break—whew! Pottery Barn Kids’ Catalina Kids Stair Loft Bed or Lifeguard Tower Loft Bed, expertly crafted bunk beds for a place to sleep above and a place to play below, will also ensure your kids will love hanging out in their rooms, playing, or even getting their much-needed naps and coming to bed early at night. Whether or not you can go on vacation this summer season, Pottery Barn and Pottery Barn Kids allow you to get into the summer state of mind and turn your space and that of your little ones into a newly revived vacation-inspired space. 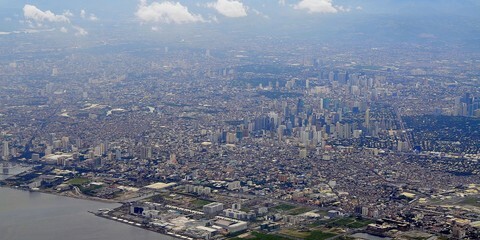 In the Philippines, Pottery Barn and Pottery Barn Kids are exclusively distributed by Stores Specialists, Inc. Pottery Barn has branches at Central Square in Bonifacio High Street Central, Bonifacio Global City, Taguig; at the 4th Level of Rustan’s Makati in Ayala Center; at the 3rd Level of Rustan’s Tower at Shangri-La Plaza in Mandaluyong; and at Estancia in Capitol Commons, Pasig City. Meanwhile, Pottery Barn Kids has branches at Central Square in Bonifacio High Street Central, at the 3rd Level of Rustan’s Tower in Shangri-La Plaza, and at Estancia in Capitol Commons. Photos and information about the Pottery Barn and Pottery Barn Kids Summer 2018 Collection are courtesy of Stores Specialists, Inc.